Nowadays, you have a variety of options available to replace your missing teeth. While you could choose a traditional treatment like dentures, you could instead enjoy the benefits of dental implants in Memorial. Now, more than 500,000 people each year choose them because they offer the highest success rate; however, they also provide an array of additional advantages that are not possible with other options. 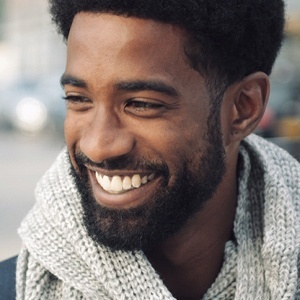 Dr. Mark Gray can help you complete your smile with the next best thing to your natural teeth. Tooth loss often causes you to look years older than your true age. Dental implants will help to turn back the hands of time to restore a youthful appearance. 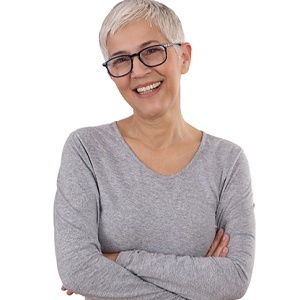 Not only will they fill the empty spaces in your smile, but they will also provide your facial structures with support to prevent sagging, premature wrinkles, and a sunken look. When even one tooth is missing, it can lead to nutritional deficiencies because some foods become too difficult to chew. While other options, like a bridge, will help to resolve some of the limitations in your diet, there are still some you will have to avoid. Not with dental implants. They closely function naturally, so you can eat whatever you want. In fact, when compared to traditional dentures, they provide over a 70% increased biting force. When the root of a tooth is missing, your underlying jawbone is no longer stimulated. As a result, it begins to deteriorate. The lack of support will cause your remaining natural teeth to shift toward the open space. This results in alignment issues that increase your risk of tooth decay and gum disease. Not to mention, additional tooth loss is likely to occur. Dental implants are the only option to preserve your bone density. The implant post acts as a root to stimulate new bone growth in your jaw. This will keep your jaw strong and healthy while giving your remaining natural teeth the support they need to stay in place. You will not need special cleaning solutions or messy adhesives to care for your new smile. 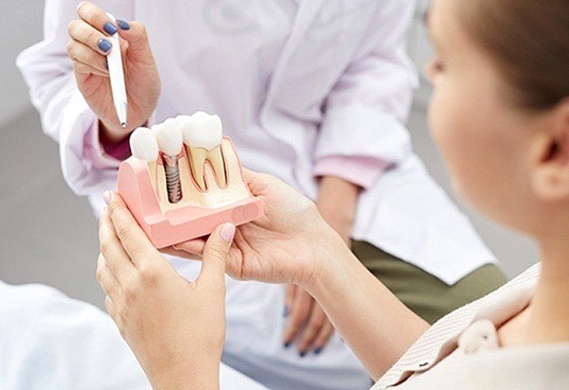 In fact, you care dental implants just as you do your natural teeth; however, you will need to take a few extra minutes to clean around the abutments. With the right aftercare, dental implants can last for a lifetime. You will not have to worry about adjustments or having them replaced. You will make a wise decision for your future and your quality of life. With dental implants, your new smile will look natural to restore your confidence. You will no longer need to hide your mouth when speaking or taking pictures. You can rest assured that no one will be able to tell that they are not your own natural teeth. If you are ready to harness the power of dental implants in Memorial, Dr. Gray can help. Contact our office today to see if they are right for you.